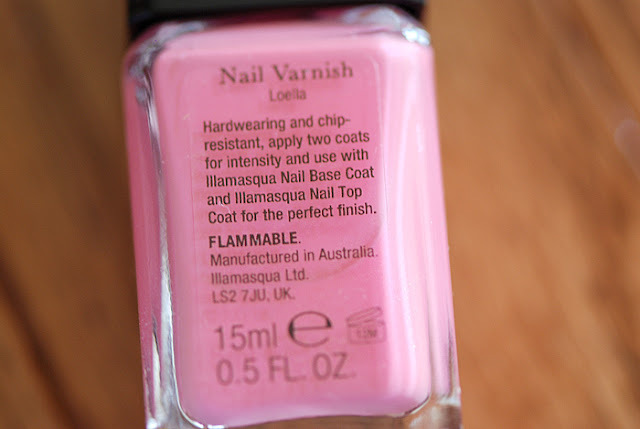 Loella is supposed to be a shimmery candy pink but doesn't have too much shimmer in my opinion. It does have a glossy finish and looks like it'd have a fuchsia duochrome, but that aspect of the polish is much less apparent than I'd like it to be. Also, it was very difficult to capture the color on my nails properly. I included extra photos with different lighting with the hope that they give you an idea of what the color looks like on me. 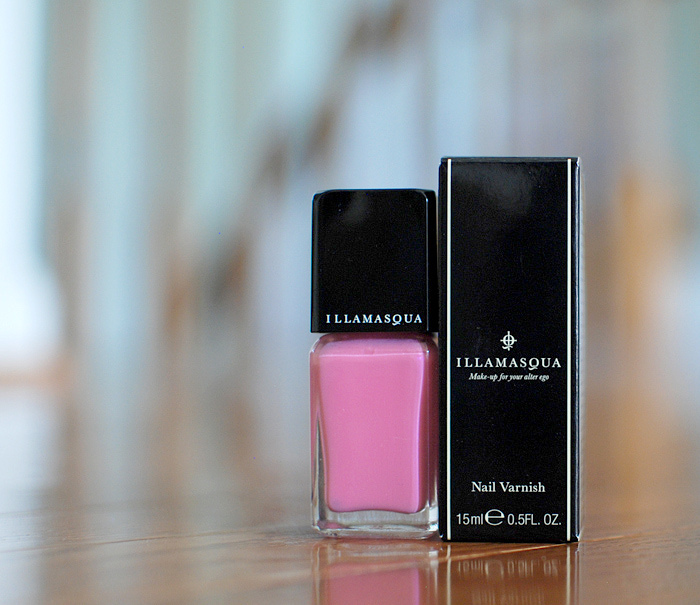 I didn't have trouble with the packaging and enjoy Illamasqua's rectangular box bottling. It makes storing much easier compared to the usual rounded bottles of nail polish. it looks like the cap is floating! My only complaint is about the duochrome not transferring well onto the nails since I really have to search for it under different lighting. Otherwise, the nail varnish is lovely. The shade of pink makes me feel super girly. It dries pretty fast (almost too fast for me), doesn't chip easily, and has long lasting wear. In terms of application, one coat can be streaky if you go too light on the polish, otherwise, one coat is fairly opaque and two hid my nails completely. 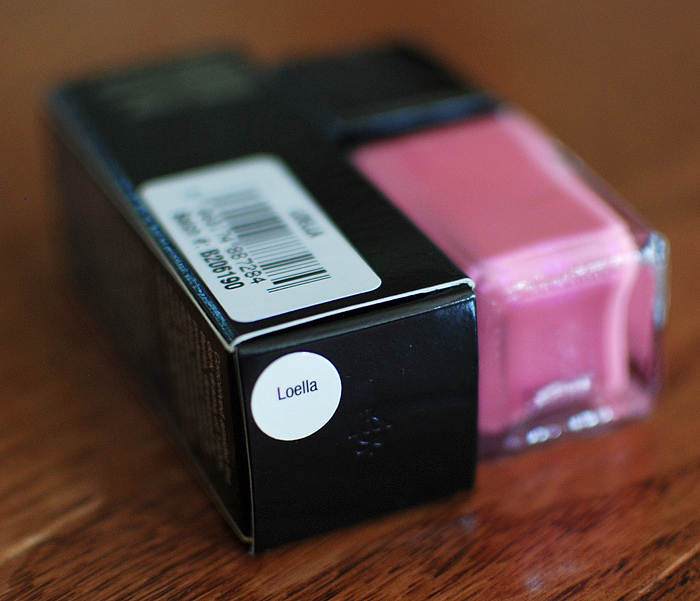 It's a bit expensive at 14$ for 0.5 oz, but the splurge is worth it for a nice color you really like.